This product comes with a one year subscription to unlimited downloads and updates. 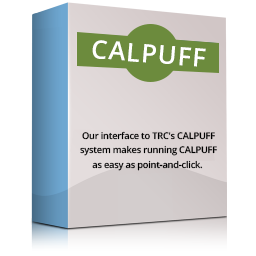 Within that year, we offer discounted renewal rates at $690 for a single user and $1,375 for a multi user license! If your subscription expires without renewal, you’ll have to repurchase the product at its full retail price. Don’t worry, though, we’ll remind you when your subscription is drawing to a close. One year after the initial purchase, an annual maintenance fee is required to receive continued support. These fees are listed in the drop-down menu above. 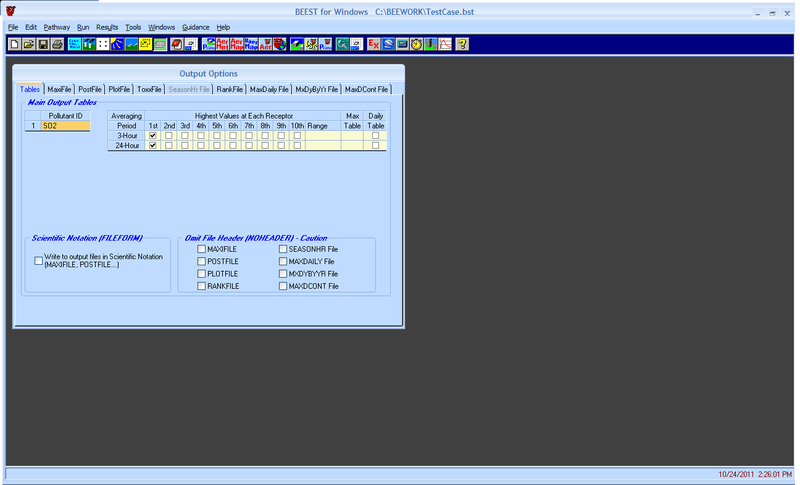 A Single User license allows for the installation of this program on one computer. A Multi User license allows for unlimited installations of this program on computers at a single address. Current Single User license holders may upgrade to a Multi User license by selecting the “Upgrade License to Multi User” option in the dropdown menu. When you are tasked to put together a dispersion modeling study or related air quality analysis, you need an edge to help you through the process effectively and efficiently. With BEEST, the air quality modeling process has never been easier. 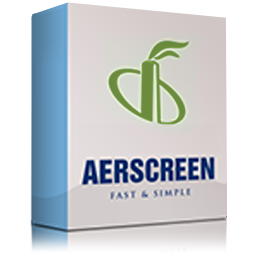 BEEST includes all the parts you need for AERMOD, ISCST3 and ISC-Prime air quality modeling. BEEST has all of the source, receptor and graphics tools you need. Enter your data once, then run all three programs. The BEEST user interface is user friendly and intuitive, making BEEST the best choice for an air quality model management package. 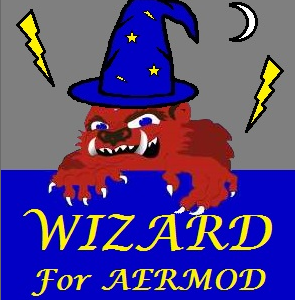 BEEST for Windows now supports the ability to partition AERMOD runs on multi-processor and multi-core computers, enabling users to get AERMOD processing results 2, 4, or even 8 times faster than regular AERMOD runs. Best of all, this feature is provided at no additional cost! BEEST is more than just a data entry program or a collection of parts. We call it a Modeling Manager. Why? Because everything you need for AERMOD, ISCST3 and ISC-Prime modeling – from source entry, to receptor generation, building calculations, to model execution, results analysis, and more – is presented in a seamless, user-intuitive interface that makes BEEST for Windows a true modeling project management tool. 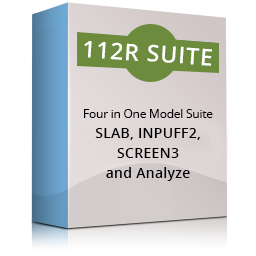 No need to decide which model you need to run before entering your data. 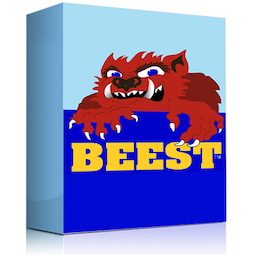 BEEST for Windows makes it as easy as click, click, click to run all three models. You do not need to re-enter any data or import from one program to another. With BEEST for Windows, running an air dispersion model is a piece of cake! Entering and deciding on spacing for receptors can be a real chore, but not in BEEST for Windows. Only BEEST allows you to automatically generate a fenceline-following grid of receptors. You can even overlay additional receptor networks that automatically exclude overlapping and on-property receptors using our unique Special Grids. 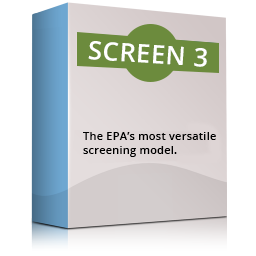 Plus, all the EPA receptor types are supported. 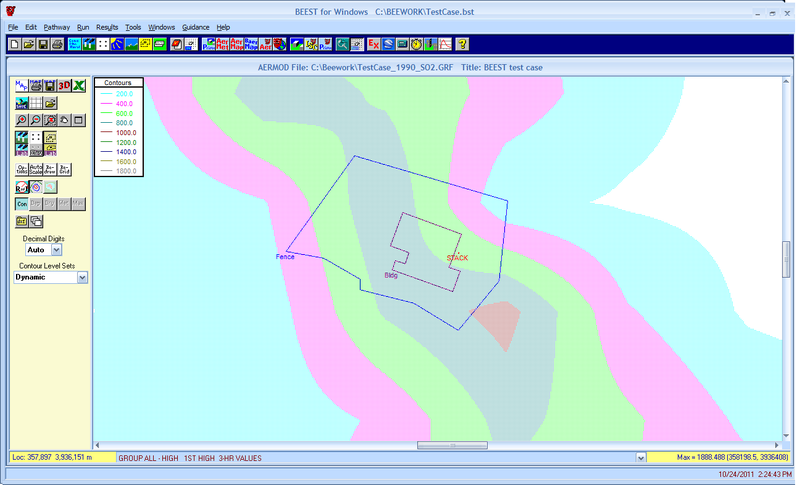 Incompatible meteorological data files are a thing of the past with BEEST for Windows. BEEST will read all supported met data file formats. BEEST will even retrieve the station numbers, IDs, and names for you automatically from your file and our supplied, user-editable met station list. 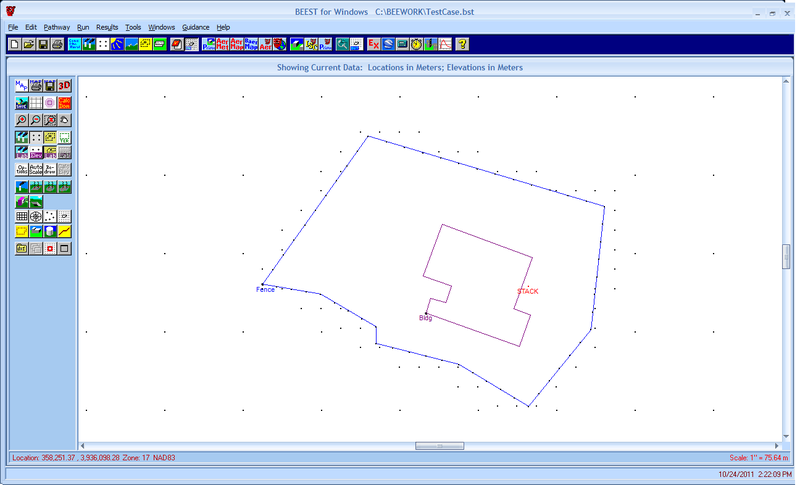 BEEST for Windows even includes AerSurface and AerMet to process data for AerMod. First Image : Input Graphics: BEEST allows you to see what is being modeled graphically and to draw the sources to model on the screen. 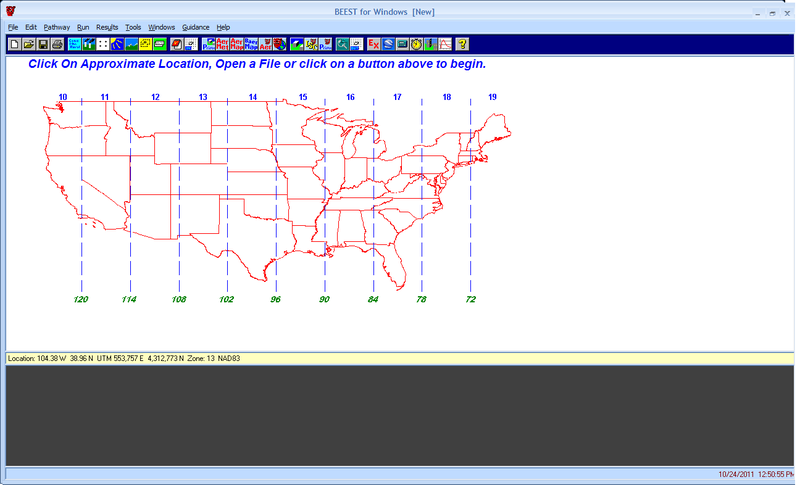 Second Image : Output Graphics: BEEST allows contours of the ISC or AERMOD output concentrations to be shown on the screen. Third Image : Output Options: The Output Options section in BEEST allows you to select which outputs to generate and specify that the ISC or AERMOD model should create special-purpose output files. 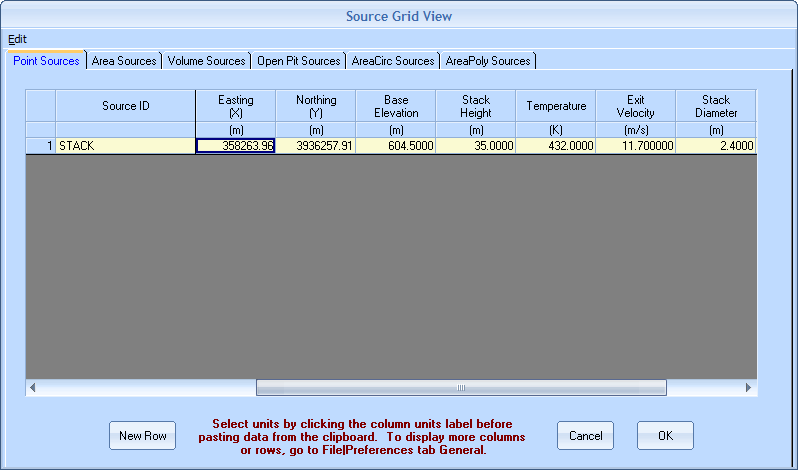 Fourth Image : Source Grid: The sources to model and their input parameters can be entered in an Excel-like grid in BEEST. Sources can also be copied from Excel into this grid and from the grid into Excel. Fifth Image : Startup: This screen is shown when BEEST opens.